The building in which Café Studio is located has a very rich history. It was built in 1886 by the Laban family and was originally a textile shop. This place has always had a unique atmosphere, as musicians used to listen to new hits while projecting black and white slides on the wall. In 1990, this place was left deserted after the Opus studio moved to another spot. 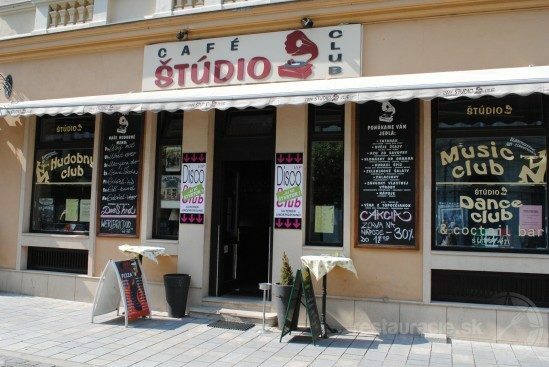 It was not until May 1, 2001 that a café was established – it is now know as Café Studio. 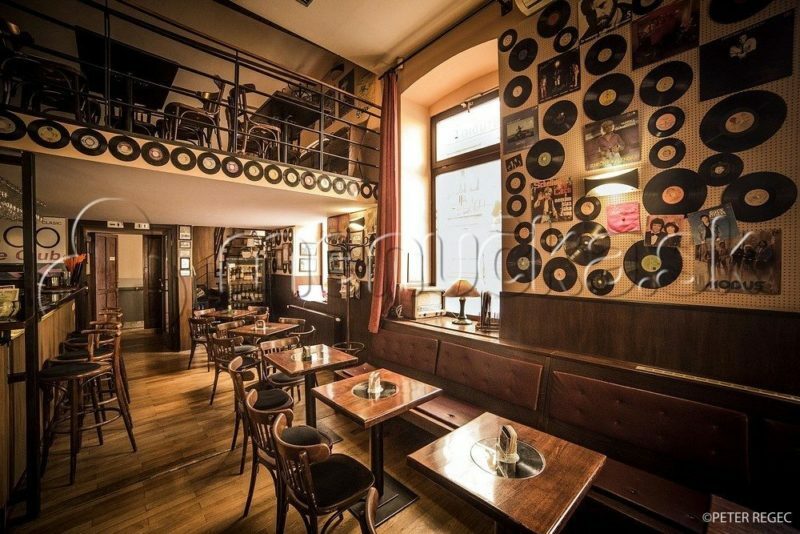 The interior decorations consist mainly of old vinyl discs and photographs that recall the period when Slovak pop music legends just at the beginning of their careers.